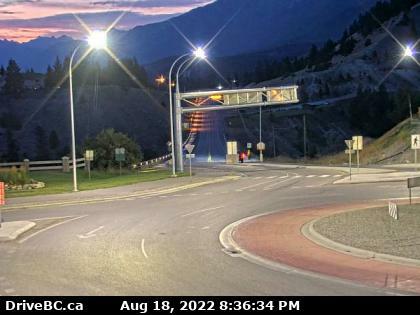 Apple Tree Inn, Radium Hot Springs, B.C. The Apple Inn Tree takes pride in knowing that they provide clean, affordable comfort for their guests. 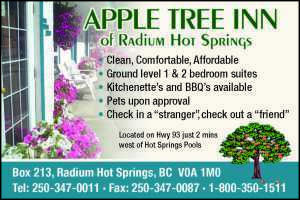 The Apple Tree Inn can accommodate both single guests and larger groups. They offer ground level 1 & 2 Bedroom Suites, Fully equipped kitchenettes, TV, in room coffee, and some air conditioned suites and some suites with Wifi. Be sure to let the staff at the Apple Tree Inn know if you are travelling with a family so they can be sure to provide you with a room type and property location to best suit your needs. 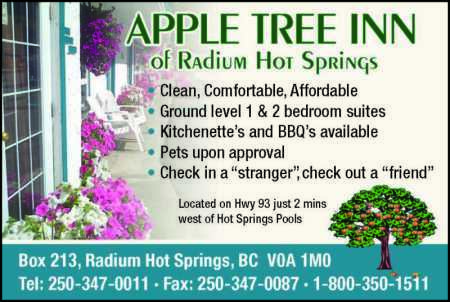 Apple Tree Inn located only 2 minutes from the Radium Hot Pools also very close to all community amenities such as mini golf, championship golf, hiking, horseback riding, white water rafting, canoeing, incredible dining, shopping, and much much more. Located on the Northside of Hwy 93 South, the Apple Tree Inn is the place to stay for recreational fun! Check in a Stranger and check out a Friend!